Note: We’ve recently updated and expanded this guide. You’ll find the latest version here. Brides Bouquet and flowers for your hair. Bridesmaid Bouquet and flowers for their hair. Flower girl – A clip with flowers for her hair, pomanders (a ball of flowers to carry) or a basket with flowers. Corsages – For the bride and grooms mothers and grandmothers (optional) – these are usually roses or mini carnations pinned to the shoulder or made up as a wrist corsage. Button holes – For the Groom, Best men, Page boy, Bride and grooms Father and Grandfather (optional), Master of Ceremonies, Driver – usually a single rose or small flower of your choice pinned to the lapel or shoulder. 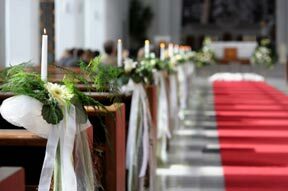 1 or 2 large flower arrangements in front of the church or chapel, or at the entrance – these can be moved and used at the reception venue as well. Flowers for the pews – Normally just one flower on every second pew or chair, or scattered rose petals down the aisle. Flowers for the registry table. Table Centrepieces – Decide whether you would like vases, special dishes/containers, bird cages, candelabra or lanterns. If it’s an evening wedding you might need candles, or flowers and candles. The number of centrepieces will depend on how many guests you are inviting and how many tables there will be. 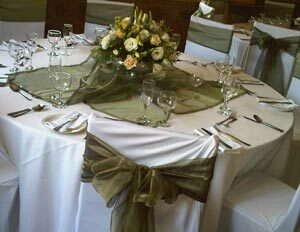 Main Table Arrangement – This is traditionally a long flat flower arrangement in the middle to the front of the table. A flower at the back of every second chair. Overlays, Runners and Chair Tie backs in any colour to match your colour scheme, are also items to consider, as most venues only supply white tablecloths, chair covers and napkins. Overlays – A square piece of material – this can be scrunched up in the middle of the table with the centrepiece on top or laid out flat over the white table cloth. Runners – A long rectangular strip of material that runs across the table and down both sides. Chair Tie Backs – Long strips of material tied around the back of the chairs. Flowers for the Wedding Cake. Fresh Rose Petals for decoration on the guest tables, down the aisle (if permitted) or as confetti. 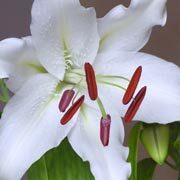 Roses, Lilies (St. Joseph, Casablanca, Stargazer), Gerbera Daisies or Barberton Daisy – always in season. Check with your wedding florist first for availability to avoid disappointment – Tulips, Peonies, Calla or Arum lilies, Orchids, Hydrangea and Frangipani. For a more detailed list of available flowers, their colours and meanings, see this article on choosing the right colour flowers for your wedding. We hope these ideas will help you plan the perfect flowers for your wedding, and that it will make communicating with your local wedding florist a little easier. 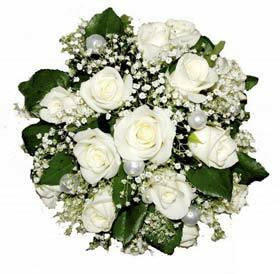 If you are looking for flowers for a wedding in Durban, South Africa, please visit our website: Wedding Flowers in Durban. If you would like a printable PDF version of this guide to take with you, let us know in the comments below and we will gladly send you a copy. We also highly recommend the book “The Knot Book of Wedding Flowers” which you can get here. inMotion Flowers is a leading online florist specializing in the same day delivery of fresh flowers, hampers and gifts throughout South Africa. We pride ourselves on exceptional personalized customer service and attention to detail. We have over 16 years of experience in the floral industry, and are pleased to share our knowledge and expertise with our readers. 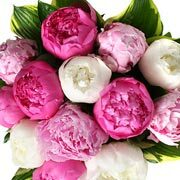 Visit our website to browse our wide range of flowers and gifts at: www.inmotionflowers.co.za or follow us on Facebook and Twitter. inMotion Flowers has written 3 articles for us. Lizé, this is a very comprehensive and well written article and I am sure will assist so many brides. I am amazed just how many flowers have to be organized. Thank you Diane! We really appreciate the comments as it inspires us to write more useful articles or to improve on the quality of the content. If you have any ideas, we would love to hear from you! Shjoe, I never realised there was so much to be considered when arranging your wedding flowers. While I am not a bride (yet), you certainly have given me lots of useful information to consider when the time does arise. Thank you! We are glad we could offer you some useful ideas and information. Are frangipani in season during May in Durban? Thank you for your comment. 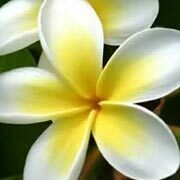 Unfortunately Frangipani’s are generally not available in May in Durban. They will start coming out in Spring but are actually summer flowers in South Africa. I think you have noted some very interesting points , regards for the post. I also have a wedding-related website dealing with planning a wedding if you would like to take a look some time. Thanks Lakesha! Will have a look! Oh my goodness, this information has been so helpful and a lifesaver!! It’s a pleasure! Thank you so much for the comment! We love sharing our ideas and experiences and knowing that it helps our readers, makes it all worth while! 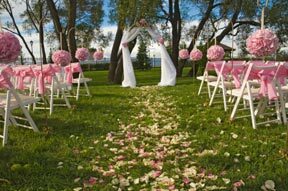 Nice Artical .We decorate your wedding and reception venues with the finest flowers at affordable prices.